Complete all 7 Egyptian Quests to receive the Egyptian Conqueror Achievement and an Egyptian Loading Screen Skin. Curse of Discord – As Discordia, use your Golden Apple of Discord Ability to throw the apple to an enemy and have it spread automatically to 2 other enemies in a single cast. Spreading Strife – As Discordia, use the Strife Ability to turn 2 enemy Gods against each other 3 times in a single match. "As we approach our Smite World Championship in January we are focused on making targeted adjustments that ensure multiple strategies are viable at the competitive level. In recent tournaments we have seen a shift away from Mages as sources of late game power, being replaced by Hunters. Assassins have similarly been pushed out as their ability to deal damage while players are heavily itemized against Physical Damage, with Warriors and Guardians replacing them to act as frontlines. There is a lot in play that contributes to this strategy, and each change is targeted at addressing a specific concern without pushing out this strategy entirely." "Titan's Bane allows Warriors and Hunters to deal with both squishy targets and tanky targets alike with little investment. This item limits the potential for other classes to stay in a fight against the sustained damage from Hunters or the burst potential from Warriors diving the backline. We are reducing the overall power of the item and increasing its cost, bringing it more in line with other pen options while slowing down how quickly it can be finished." Decreased Physical Penetration from 22% to 15%. Increased cost from 2150 to 2300. Decreased Physical Penetration from 33% to 30%. "Team frontlines have access to powerful Magical Protection items that they can effectively splash into their builds. Shogun's Kusari enables Hunters heavily, while Void Stone allows these tanks to threaten squishier gods. We are reducing the Magical Protection on these items due to the additional utility they provide, requiring tanks to invest more money to receive similar protection against Mages." Decreased Magical Protection from 50 to 40. Decreased Magical Protection from 70 to 60. "Mages in Conquest are largely restricted to a single start (Soul Trap rush) that is currently not strong enough to compete with other class starts. We are looking to improve this specific start while also opening up the pool of other starting choices. Players wanting to open with a Starter Item will have better pairing options with Tiny Trinket and Lost Artifact, allowing them to compete more directly with the enemy team earlier." Increased Magical Power from 15 to 20. Decreased cost from 600 to 550 (Increased cost of Restored Artifact and Doom Orb by 50 to preserve their original prices). "Compared to the 100 Magical Power Book of Thoth starts with, the 40 Magical Power Doom Orb begins with combined with the risk made this item unattractive. By increasing its Magical Power while keeping the top end the same, it is both stronger when initially picked up and slightly less risky. Players who want to rush Magical Power will now have a more attractive option opened to them." Increased Magical Power from 40 to 60. Increased MP5 from 7 to 10. Decreased the Max Stacks from 50 to 40. "Soul Eater provides a unique effect, but it's simply too expensive and comes online too slowly for most gods. We are reducing the cost and increasing the unevolved item's Power to give it a quicker punch before it fully evolves." Reduced cost from 2400 to 2300. Increased Power from 30 to 40. Reduced Evolved Power bonus from +20 to +10. "Fenrir is getting a large buff this patch. He has been performing poorly for some time, often sitting near the bottom of all gods. While we attributed some of this to Stone of Gaia's old passive severely limiting him as a pick, his stats failed to move much when it was removed. This patch we are looking to address some issues with his kit's flow, as well as addressing some clunkiness in other places." "The largest change is that Seething Howl will no longer consume runes from Unbound Runes. Fenrir players often felt unable to use this skill without risking losing the Stun from Unchained, creating strange moments of being unable to use this before and during a teamfight. He can now cast it freely, allowing him to empower his other abilities at any time. Since he can no longer empower it at all, we are increasing the Physical Power and Lifesteal buff slightly to compensate. Brutalize is also getting bonus protections during its channel, allowing Fenrir to survive a bit more effectively when looking to engage other players." "Ragnarok is also seeing some love. This ability now has increased range and a new targeter to help players better identify when they can bite their opponents. Previously, Fenrir could bite through player models but not pick them up due to how short the range was. Now if Fenrir looks like he would have picked up a target, he will." "While Artio has evened out at most skill levels, she is an absolute top pick at the competitive level. Her ability to sustain and damage during a long fight is highly valuable in pro matches. While her playstyle is meant to allow her to fight to extended periods of time, players who can effectively do this push her into frustrating territory." "We are decreasing the overall Healing from both Energy Surge and Life Tap. While her base healing numbers were slightly nerfed, the majority of the reduction came from her Magical Power scaling. When Artio is supporting her team, her overall sustain is much more reasonable. When Artio is gaining additional farm, the scaling from Magical Power items was giving her a much higher (and frustrating) amount of healing." Decreased energy surge Heal from 60/80/100/120/140 to 40/60/80/120 per enemy god hit. Decreased Magical Power Scaling on energy surge heal from 25% to 20%. Decreased Magical Power Scaling on Life Tap heal from 10% to 5% per tick. "Cu Chulainn is also receiving a nerf this patch. His ability to be aggressive from early levels and the amount of shielding he obtains has pushed him towards the top end of the stats. We are reducing the strength of the shield from Berserk across the game, letting his opponents have an opportunity to fight back. Vent Anger is also having a small movement speed reduction to lower his mobility while transformed." Reduced bonus shield from 20 + 24 per level to 10 + 20 per level. Decreased self move speed buff from 10% to 5%. "Ymir is here, getting a nice bonus to his Ultimate. Previously, enemies would only be affected by Frostbite after taking damage from Shards of Ice. 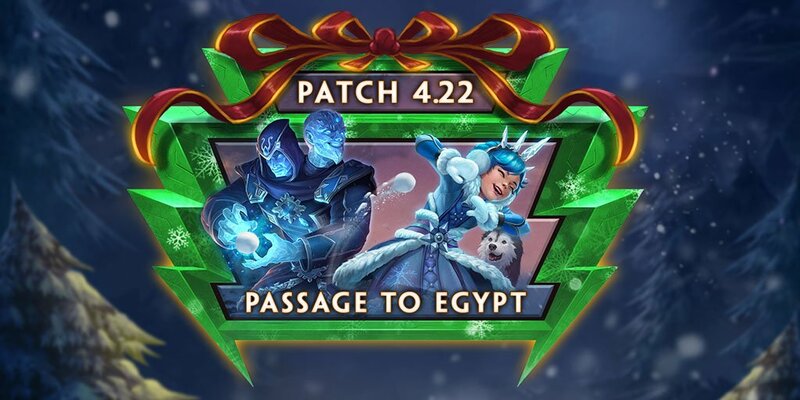 We are changing it to apply Frostbite when enemies are inside his Ultimate, allowing Ymir to benefit from the 10% damage reduction he applies through Frostbite. Ymir players will be able to tank more if enemies simply try to burn him while he is charging up this ability." Frostbite Passive is now immediately applied to enemies in the area, and refreshed by the detonate.